Resin body. 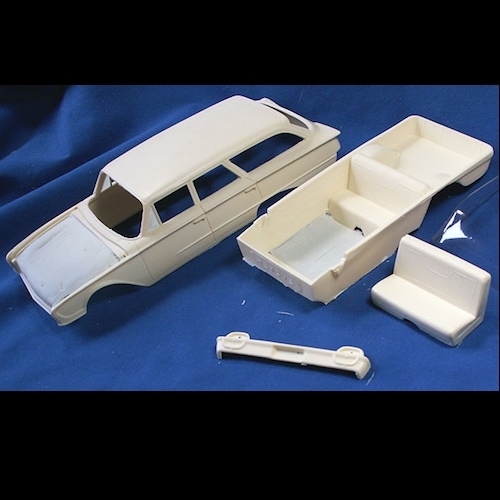 Includes bumper, interior tub, seats, and vacuum formed windshield. Use the AMT 1960 Starliner to complete.